We believe that in any business, service and support is the most important quality. We understand that buying a custom gaming system, and when you build a system with us here at Aftershock PC, we will endeavour to do much more than just help you choose your customization options. We want to be there with you all the way through the life span of your gaming system, to ensure that your experience with our systems is nothing but stellar. Every syssold by us will be covered not just by our 2 year hardware and parts warranty, but also by our 3 year AFTERSHOCK technical support and repair services. The parts warranty can be extended to up to 3 years. (A) Bring the AFTERSHOCK product down to our service center @ 298 St Kilda Red, St Kilda, Victoria 3182 during our opening hours stiuplated above. We are in the mist of upgrading our Drivers support webpage to serve you better. Do email our support team at support@aftershockpc.com to request for your system drivers. We apologise for any inconvience caused. AFTERSHOCK PC WARRANTS this AFTERSHOCK hardware Product against defects in merchandise and workmanship for a period of ONE (1) YEAR from the Date of Original Retail Purchase., unless additional parts or labour warranties are purchased, which may extend the terms of warranty to include the replacement of parts for a total of 2 or 3 years. If a defect is found in a purchased AFTERSHOCK Product, contact the AFTERSHOCK service centre through telephone (0390433893) or email (support@aftershockpc.com.au). Alternatively, the Product can be brought down to the AFTERSHOCK service centre (298 St Kilda Rd, St Kilda, Victoria 3182). If the problem cannot be resolved over the phone / mail, the User will be responsible to either carry in the Product to our Service Centre or to mail it in. Alternatively, a collection service can be opted for, and relevant charges will apply. Return shipping will be provided for free by AFTERSHOCK PC. The free return shipping is only available to End Users in Australia, Singapore and Malaysia. This warranty agreement and any sales shall be governed by the laws of Australia. The courts of Australia shall have exclusive jurisdiction over any action at law or equity arising out of or relating to these warranty terms or the website. What is the usual turn around time for any AFTERSHOCK laptop? The usual turn around time for ordering an AFTERSHOCK system will be from 3 to 8 business days. Check with us for an estimated time when you make your purchase. If you required the system faster, kindly let our staff know and we would be happy to assist to the best of our ability. As shown on the prices on our website, we support direct deposit, cash payment, EFT, Credit Card payments and Financing (where approved). Please do note that the base prices on our site are for cash and Nets discounted prices. Credit card or paypal payments are listed on our cart page. This is to allow us to bring the best prices to our customers should they so choose. Direct bank transfers are accepted but please do note that these have to be cleared before collection or delivery will be allowed Do note that bank transfers between different banks can take around 3 working days or more (We use ANZ). Where are AFTERSHOCK laptops assembled? All AFTERSHOCK laptops are assembled and shipped from Australia and are covered by our limited liability warranty. What is included in the AFTERSHOCK laptop package? 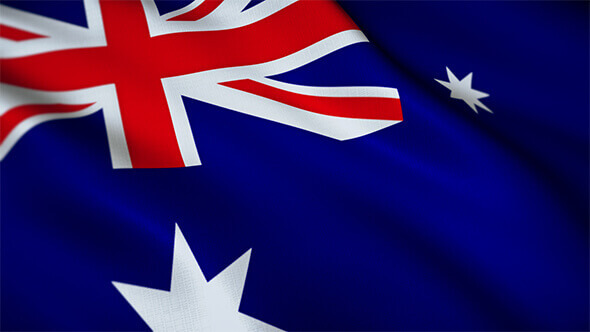 AFTERSHOCK PC is based in Australia. We are GST registered and all web prices are inclusive of Australia's 10% GST. Overseas customers (Exports) are not subjected to Local Taxes, speak to a sales representive for details. Overseas customers stopping by in Australia for a temporary period of time for a collection can also do a GST refund at the airport when leaving Australia.